Nationwide Need for Volunteer Firefighters Grows: Are You Up to the Challenge? (BPT) - Did you know that 87 percent of America's 30,000 fire departments are either fully or partially staffed by volunteers? The peace of mind that these firefighters provide their communities is irreplaceable, however, the number of volunteers is declining rapidly. This shortage is threatening the effectiveness of fire departments nationwide, ultimately putting many communities at risk. Volunteer firefighters act as the first line of defense in an emergency, provide medical services and protect more than 50 percent of Americans, particularly in rural communities. These men and women dedicate significant training hours to ensure they are prepared, often at their own expense. The decline is the result of fewer people stepping up to volunteer, and the average age of volunteers is increasing every year. 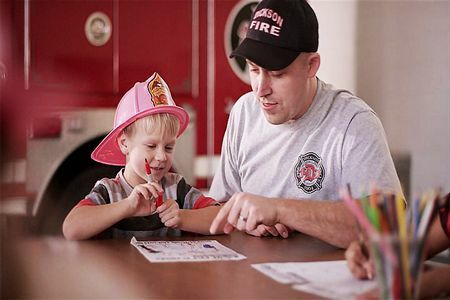 As the need for volunteer firefighters grows, the leading manufacturer of residential fire safety products, Kidde, has teamed up with several fire safety organizations to launch the Step Up and Stand Out campaign. This nationwide campaign aims to raise awareness that local fire departments need volunteers in order to keep communities safe and recruit new volunteers. Nominate a volunteer firefighter to help your local department earn national recognition and valuable prizes. The Step Up and Stand Out campaign includes a contest hosted on Firehouse.com/vf, which invites the public to submit a brief video nominating a current volunteer firefighter or support volunteer to receive recognition for their community service. Submissions will be accepted until May 21, and online public voting will begin in June. Five finalists will be announced in August and a final public vote will then determine the grand prize winner, who will be revealed at Firehouse Expo in October. The five finalists will receive Kidde smoke alarm donations, industry memberships, NFPA Fire Prevention Week Kits and more. The grand prize winner will also receive a $1,000 department training grant. Help protect your family and your community’s firefighters by ensuring your home has working smoke alarms. NFPA reports that a working smoke alarm cuts the chances of dying in a fire in half. Ten-year sealed battery smoke alarms, like Kidde Worry-Free alarms, use one battery for the life of the alarm to provide 24/7 fire safety protection and eliminate the hassles of low battery chirps. On average, families have less than three minutes from the time the first smoke alarm sounds to escape a fire, so it’s important to get everyone out efficiently. One of the best ways to be prepared is to create a home escape plan with your family. Practice regularly - both day and night - and know two ways out of each room. Always remember three rules: get out, stay out and then call for help.